If you are reading along with us, you have listened to Jeremiah plea with his fellow Israelites to turn from their sin and back to God in repentance to ward off an impending invasion. In glaring detail, the prophet warns of calamity and destruction on the horizon – all to no avail. Babylon/Chaldeans invade Judah – Jerusalem is sacked and destroyed. Jeremiah writes 5 poems of lament while sitting in the ashes of the smoldering ruins. Now we enter Ezekiel, one of the strangest guys in the Old Testament. Part of the group of Israelites sent in chains to Babylon (2 Kings 24:11-16), Ezekiel is further proof that God loves His people and is grieving over what has happened. Despite constant warnings and prophetic visions, God’s people have ignored Him and brought destruction upon themselves. God is determined to not let that happen again. So He sends Ezekiel to explain why they are in exile and how to prevent it next time. Ezekiel is writing mainly to the Jews in Babylon during about 23 years – from around 593 B.C. to 571 B.C. As you begin reading – brace yourself. Things get weird pretty quickly. In fact, right out of the gate Ezekiel is hanging out at one of the major rivers about 200 miles north of Babylon, when he sees a vision from the Lord. This vision sets off series of events typically only found on those late night TV shows. The vision has a bunch of strange creatures in it. A voice speaks out of a throne. Ezekiel eats a huge scroll. (Then things get really weird). God tells Ezekiel to build a small replica of the city of Jerusalem. Then pretend to attack this city model. 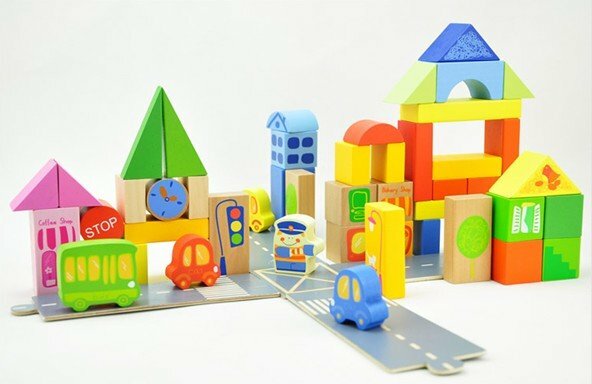 He is told to lay siege to this toy city. Do you know what that looks like? What do you think this looked like to the average person walking by? Oh look – there is crazy Zeke playing with his toy city again. What is wrong with that guy? He does this for 390 days… then 40 more, all while cooking his food in cow dung. (I bet he is really glad God changed His mind on the first fuel choice!). All of this makes me wonder… how far is God willing to go to help me understand how deadly my sin is? Have a prophet look silly? Webster’s Dictionary defines lament is “to express sorrow, regret, grief over something; to mourn aloud”, and that is precisely what we find in this short book. Written by Jeremiah, it is best to view it as a continuation of the book by his name – reading it at the conclusion of the former. As we have read through Jeremiah’s prophecies, we have seen his pleas and words of warning go unheeded as Jerusalem speeds towards destruction due to her disobedience. They mocked him, put him in public stocks, and even threw him in prison as he cried out his message of impending doom to the people of Judah. Instead of listening to his words, believing his message, and repenting of their sin – the rulers/citizens of Jerusalem simply dismissed him as irrelevant and an enemy of the state. The end result was Nebuchadnezzar came and destroyed Jerusalem – just as Jeremiah foresaw. How (or Alas) is an exclamation of pain and grief; a wailing cry like the howl of a jackal or a wolf. It clearly sets a tone of unimaginable pain and mourning over a city that has been needlessly lost and a people who will now suffer due to their own ignorance. Ironically, it is Jeremiah who feels the most heartache over what has happened (despite the fact that he had been warning them for the past 30 years). Can you imagine how Jeremiah was feeling? This was the city he loved. These were his people, his kinsmen. He had seen it all coming for years, warning, pleading, begging his people to turn back to the Lord. 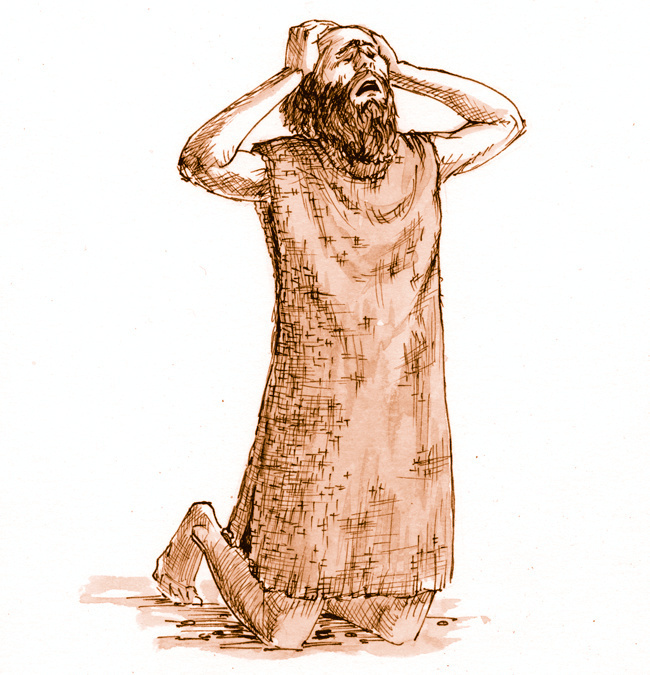 He had met with kings, shouted in the courts, cried out in the marketplace – all to no avail. As you read through this short book, remember what has preceded it. While the language speaks of the Lord doing the destroying (1:5, 15, 21), we know that it is actually the Babylonians/Chaldeans who did it. The poetic language places the fault at the feet of Jerusalem herself (1:3) due to her sin, and the Lord has allowed it. Her repeated sinful choices have caused the Lord to withdraw His hand of protection and blessing from over the city, resulting in the Babylonian victory. Also, notice the change of heart in Jerusalem after the fact. Lam 1:11 contains a short prayer, “See, O Lord, and consider how wretched and lightly esteemed, how vile and abominable, I have become!” This is the kind of prayer Judah and Jerusalem would never have prayed before their pride was crushed and trampled in the dirt. Now they could say the humble prayer of a sinner – short and simple like that of the publican in Luke 18:13. If only they had found that humble voice when Jeremiah had warned them.